COLUMBIA, Mo. – Within the last few months, scientists have completed the first-ever genetic sequencing of a cat. Now, scientists at the University of Missouri are searching for ways to fund the genetic sequencing of more cats through a project called “99 Lives.” Leslie Lyons, the Gilbreath-McLorn Endowed Professor of Comparative Medicine in the MU College of Veterinary Medicine, says cats suffer from many of the same genetic diseases as humans, and if scientists can sequence the genes of more cats, they can gain a better understanding of how to treat these diseases in cats and in humans. 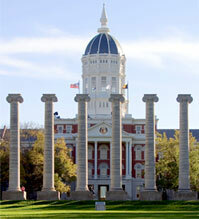 Scientists at MU only need a small amount of blood to sequence the genes of individual cats. However, because the process is complicated and time-consuming, it costs more than $7,000 to complete a full gene sequence of each cat. Lyons hopes that if she can raise enough money from private donors to help fund the research, she can sequence close to 100 cats. Lyons says that small donations are as important as large ones. Lyons says the 99 Lives project is interested in sequencing the DNA of all kinds of cats, from house cats to large felines like bobcats, palace cats and even tigers. She says that interested donors can not only give money to help fund the project, but also can donate DNA samples of their own cats to help the cause. This project is a result of collaboration through the One Health, One Medicine area of Mizzou Advantage. Mizzou Advantage is a program that focuses on four areas of strength: food for the future, media of the future, one health, one medicine, and sustainable energy. The goals of Mizzou Advantage are to strengthen existing faculty networks, create new networks and propel Mizzou’s research, instruction and other activities to the next level.